United a famous Finnish pan flute player and a Taiwanese Elementary school teacher. started to link a fate across the thousands of miles. 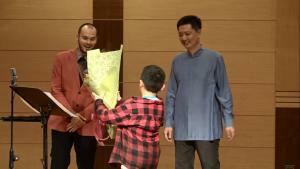 the "Wind bamboo Recall Concert"
brought a wonderful cross-border and cross–domain dialogue to the audience. take a part of Taiwanese folk songs named ” June Jasmine”, “Riverside spring dream”, “Rainy night flower” and other tracks. presenting a blend of Chinese and Western culture. It also tells the story of the thousands of miles of music to bring a harmonious and melodious music feast to the audience. This close affinity is extraordinary. to Tropic of Cancer 23.5°N (degrees north). 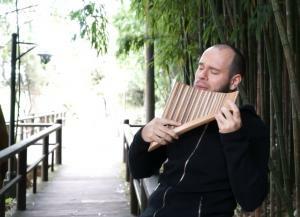 It is the wind rising music combined with western pan flute, eastern flute and Xiao made from bamboo. It is the passion to bring communication and friendship between countries in the North and the South. These will become wonderful memories in the future.